The United Nations (UN) seeks global governance over the countries in the world, in particular, how countries are to behave with regards to immigration. It seeks to have unelected Globalist leaders “guide” or “direct” the affairs of sovereign countries. It is contrary to existing Patriotic Nationalism, such as President’s Trump governance of the USA, in which countries define their own laws, for example, control over their own borders. The UN is trying to have all countries allow them to govern immigration into their countries. The UN Compact on Immigration can be found here. 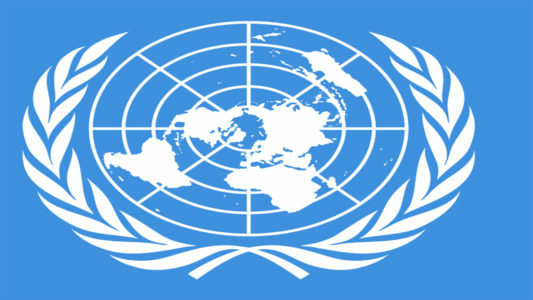 The UN Compact on Immigration defines how countries are to behave with regards to immigration: the numbers of immigrants, the language to be used (for example, one cannot refer to someone entering their country illegally as an “illegal” immigrant, but rather as an “irregular immigrant), and that the media and academic institutions are to implement and oversee the acceptance of the UN’s dictates. The UN’s targeting of Canadian businesses and the UN principals they are under can be found here. A complete list of the Canadian companies under the UN guidance can be found here. In the case of Unileaver, it operates under many brand names: here is a complete list. This entry was posted in Immigration, Islamic Activism, Sharia Law in Canada, Liberalism-Socialism-Communism, Politics, Canada, Think Over News, Videos and tagged banks, canadian businesses, carriers, free speech, globalism, liberalism, nationalism, open borders, patriotic nationalism, schools, socialism, stores, totalitarianism, Trudeau, un, united nations.